roomservice is a fashion handbook featuring information on trade shows, brands and showrooms. The book is distributed at fashion trade shows in Japan and around the world, as well as delivered to buyers and press. We make a website of roomservice. 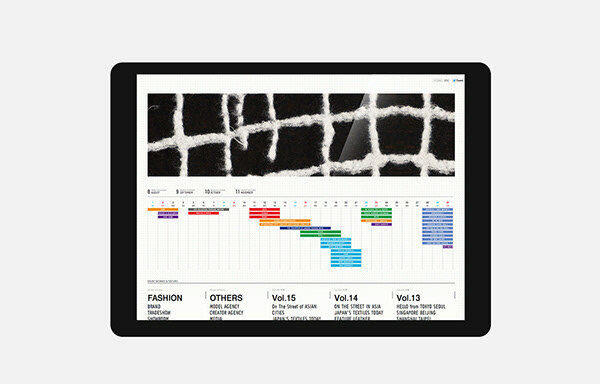 An Original calender that is the fashion event in the world can be covered. 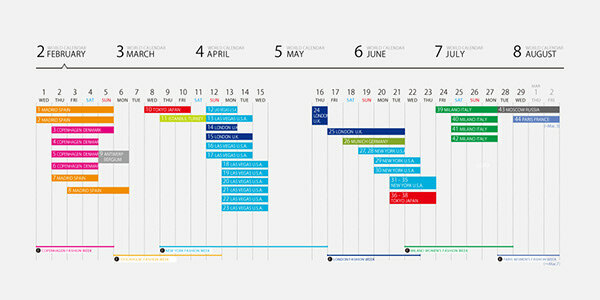 This calendar can peruse the period of some fashion events and shows. And, of course, it links to each event. 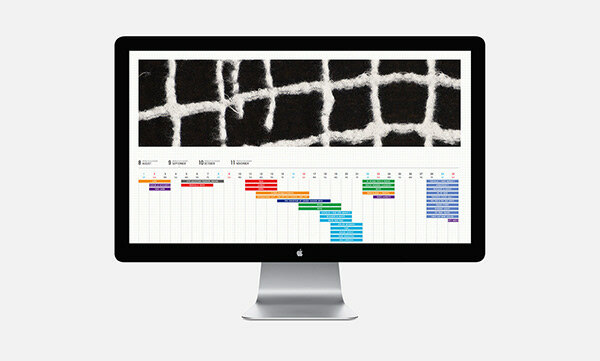 In website, Number of brands, tradeshow, showroom are published more than magazine. They can be searched in the alphabet, area, etc. 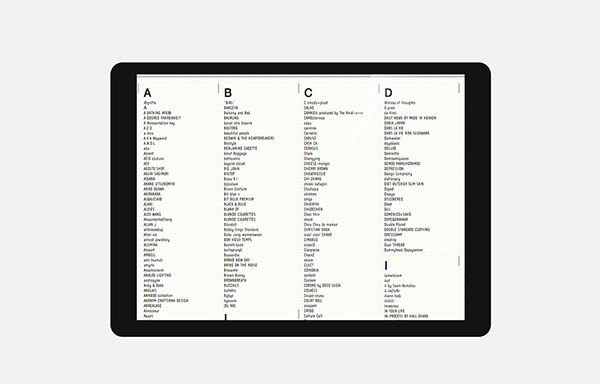 Although the number of brands which can be searched exceeds 1000, it is collecting compactly by using the full screen. The other contents are fashion snap and various issue. Their past number are archived. So you can perused various past issue.